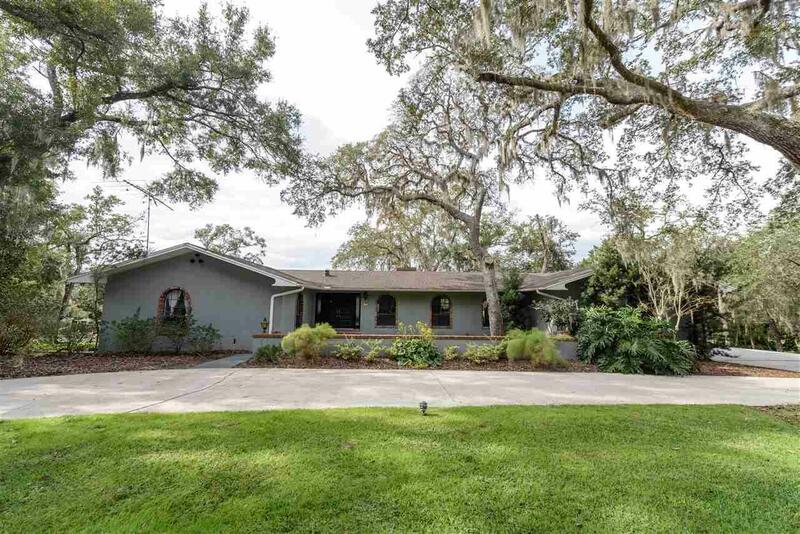 Florida living at its best with this ranch style custom, two story pool home situated on a 2 acre high bluff home site overlooking peaceful Moultrie Creek. 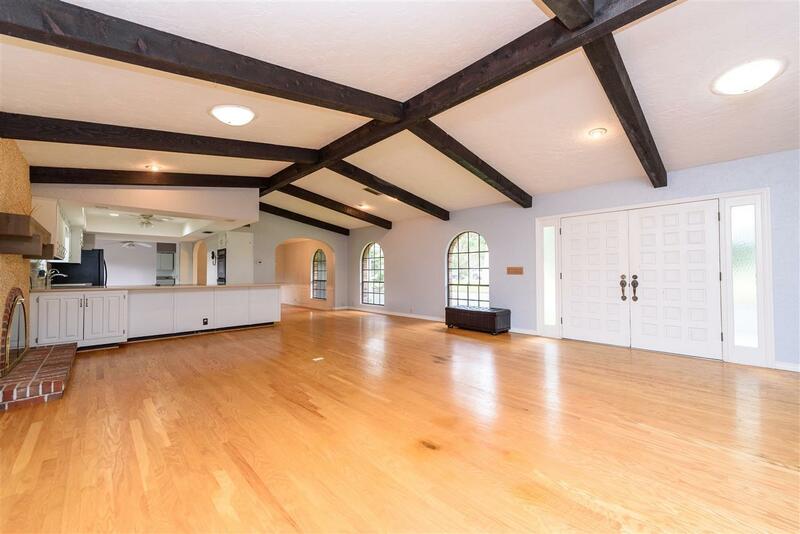 Well cared for concrete block constructed home with a private front court yard. 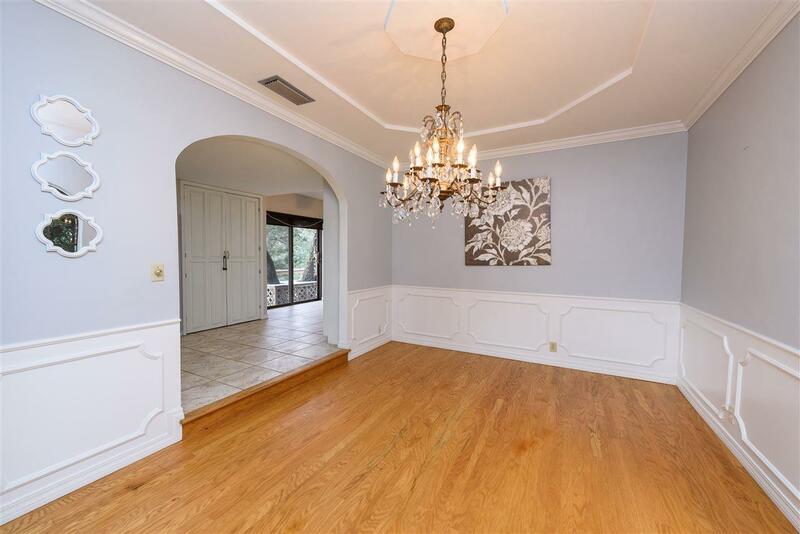 As you enter through the solid wood, double front doors, you feel right at home in the expansive great room with skylights, hardwood floors, and an open style kitchen, custom beams and the coquina fireplace with custom mantel near the kitchen for entertaining! The kitchen has been remodeled with Corian counter tops, solid wood cabinetry, double ovens and a separate breakfast nook overlooking the winding creek below. 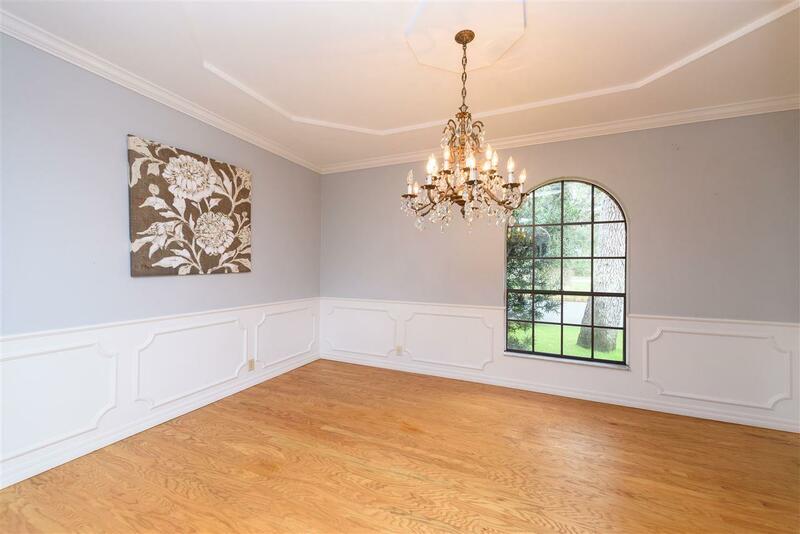 The formal dining room with an elegant chandelier located just off the great room provides the perfect space for formal dinner parties or can be easily converted for casual gatherings. Two of the three bedrooms also share a Jack and Jill style private bathroom with the master downstairs over looking the pool and expansive yard. Approximately 2000 sq. ft. of outdoor deck and living space overlooking Moultrie Creek. Enjoy canoeing and fishing right out your back door! Community has 24 hour guard gate.Close to beaches, shopping and historical downtown. A Rated schools. Home is wired for generator. New roof in 2015 Would be great for a renovation loan to make your personal changes.